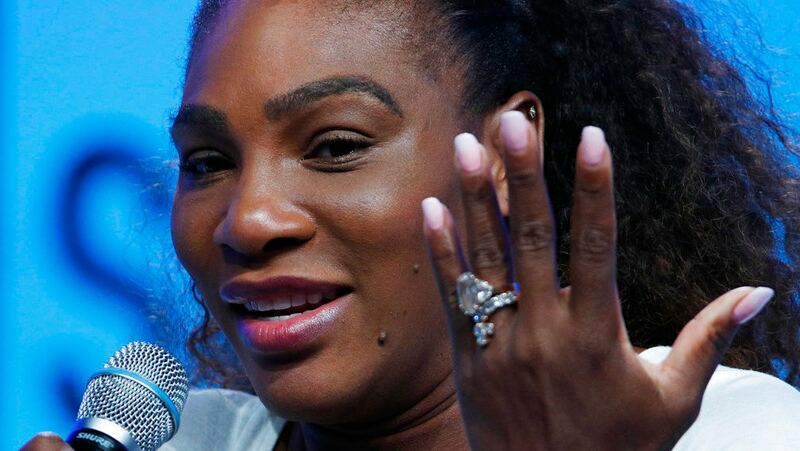 Pro tennis superstar Serena Williams has joined Bumble, a social networking platform targeted at women, as an investor. Williams, already a Global Advisor of the site that boasts more than 50 million users worldwide, first debuted her affiliation with the company in the Super Bowl ad #InHerCourt. In addition to her new role as investor, Williams also joins the Bumble Fund as an active member. The fund launched last year to concentrate on early-stage business investments, particularly for businesses founded and led by women of color and other underrepresented demographics. READ MORE: What made Serena Williams stop playing in the middle of an important match? Since 2014, through her own Serena Ventures initiative, the tennis great has invested in over 30 women and minority-owned businesses. In April, she will lead the Bumble Fund pitch competition with Bumble founder and CEO Whitney Wolfe Herd. Interested entrepreneurs should download the Bumble app because the pitch competition launches today on Bumble Bizz within the app. The competition is open to all entrepreneurs “with a United States entity who identify as women, prioritizing those with diverse backgrounds, experiences and perspectives,” according to the company announcement. The submission process runs until March 27. The partnership with Williams just made sense, according to Bumble founder, Wolfe Herd. The Bumble Fund, which recently announced investments in Alice, Gixo, Translator and Promise, focuses on early-stage investments, has made 9 investments to date. In the pitch competition, Wolfe Herd and Williams plan to choose two to three new investments for businesses, investing between $50,000 to $100,000 per company.